Need a map to help navigate your adventure? Have a question about all the activities at the Park? Just want to chat with some friendly folks? Head over to the First Tennessee Foundation Visitor Center! 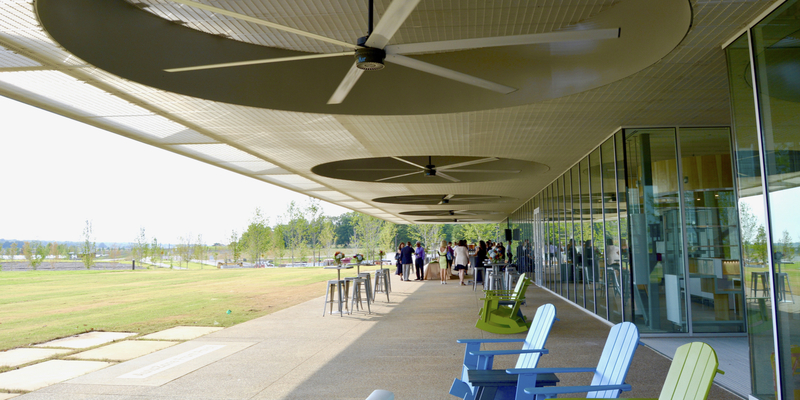 You’ll find everything you need to plan your fun at the Kemmons Wilson Foundation Welcome Center. You'll also find additional restrooms, the Lake’s Edge Gift Shop, an ATM, a water fountain + water bottle filling station and two small community meeting rooms. Did you misplace something during your Park visit? Lost and Found is located at the Front Desk. While you're there, catch the the best view in town from one of many Adirondack rocking chairs on the AutoZone Front Porch.